Nalanda (Bihar): Yoga guru and entrepreneur Baba Ramdev is the latest to join the row over a portrait of Muhammad Ali Jinnah at the Aligarh Muslim University (AMU). On Tuesday, Ramdev said Muslims, who do not “attach importance” to pictures or idols, should not worry about portraits of Pakistan founder Muhammad Ali Jinnah. Ramdev was responding to a query over the demand for removal of a portrait of Jinnah from the premises of the AMU. “Ab musalman toh chitron aur murtiyon mein vishwas nahi rakhte. Unko toh iss baare mein chinta hi nahi karni chahiye (Muslims don’t believe in pictures and idols. 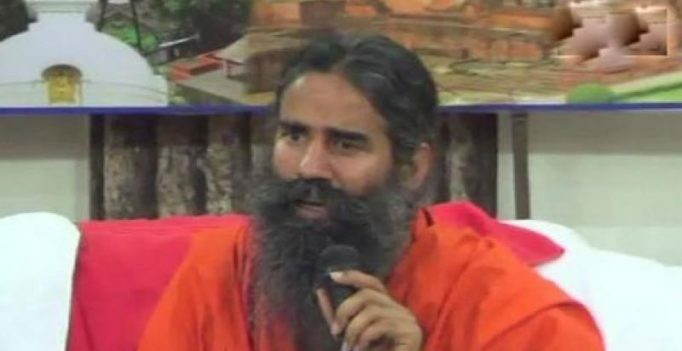 They should not have to think about it), Ramdev said. “The ghost of Jinnah is hogging a lot of limelight,” Ramdev told news agencies, adding that the Pakistan founder is good for his country but can “never be an ideal figure to those who believe in India’s unity and integrity”. “Jinnah can never be an ideal figure to those who believe in the country’s unity and integrity,” said Ramdev, who was in Nalanda district of Bihar to hold yoga classes. Ramdev’s remarks comes within a week of Union Minister Mukhtar Abbas Naqvi criticising suspended Congress leader Mani Shankar Aiyar, for praising Jinnah amid the controversy over his portrait at AMU. The minister had said Aiyar’s statement revealed the “true feelings of the Congress party”. The row over Jinnah made the headlines after BJP’s Aligarh MLA Satish Gautam questioned the portrait’s presence in the AMU student union office. AMU officials have said Jinnah was a founder-member of the university’s court and was granted life membership of the student union. On May 3, 28 students and 13 police personnel were injured in clashes that broke out between AMU students and security forces, over the former demanding action against right-wing protesters who entered the campus and wanted Jinnah’s portrait removed from the student union office, where it has been hanging for decades. After widespread tension on campus, AMU was forced to push back examinations scheduled on May 7 to May 12. A statement from AMU said, the decision was taken in a consultative meeting under the chairmanship of the University Vice Chancellor, Professor Tariq Mansoor. Professor Mansoor told PTI, the University has taken the decision after improvement in the law and order situation on campus. He said there was no proposal for closing the University for longer period, as the present situation does not warrant it. The VC requested students to come forward and help in restoring normalcy and peace on campus.